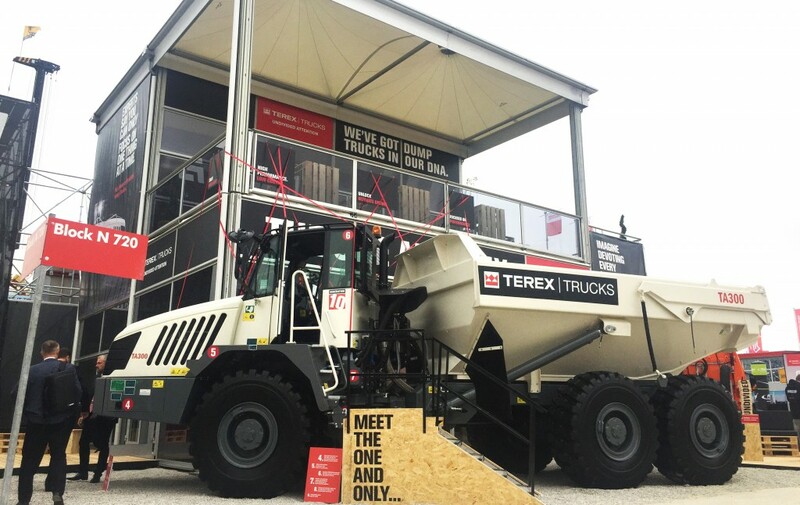 The recently updated Terex Trucks TA300 articulated hauler is making its first international trade show appearance on the company's outdoor stand: FN 720/9 at bauma in Germany. Representatives from Terex Trucks are at the event, which runs from April 8 to 14, showing visitors how the company's two articulated haulers - the TA300 and TA400 - deliver low total cost of ownership and high productivity on jobs including large-scale construction projects, infrastructure developments, quarries and mines. "Bauma is the biggest trade fair for our industry," says Paul Douglas, Managing Director of Terex Trucks. "It attracts all kinds of equipment from around the world, but for us, it's all about robust articulated haulers - that's the only product Terex Trucks manufactures. This gives us the luxury of being able to focus all our attention on this machine. We are the experts in all things articulated hauler, and have been for many decades." "Terex Trucks has been investing in and making improvements to both the TA300 and TA400 articulated haulers," continues Paul. "Both of these machines are robust, reliable and productive. Our articulated haulers have never been better and Terex Trucks has never been stronger." Since August, the TA300 has incorporated the new EP320 transmission, which comes with two additional forward gears - eight in total - as well as four reverse gears. This helps to ensure smoother gear shifting and thereby superior operator comfort. In addition to this, the TA300 now delivers a 5% improvement in fuel efficiency, as well as enhanced performance, productivity and operator comfort. It also now comes with long life transmission fluid, which has helped to increase the length of time between oil maintenance intervals from 1,000 to 4,000 hours. The hauler's maximum speed has also increased to 55 km/h (34 mph), up from 50 km/h (31 mph). Ultimately, this means that customers can achieve faster cycle times, reduce the cost of operation per tonne and minimize their fuel consumption.